– Place the potato in the microwave for 5 minutes. Flip the potato over and microwave it for another 5 minutes (total about 10-12 minutes depending on how long the potato takes to cook). 2. 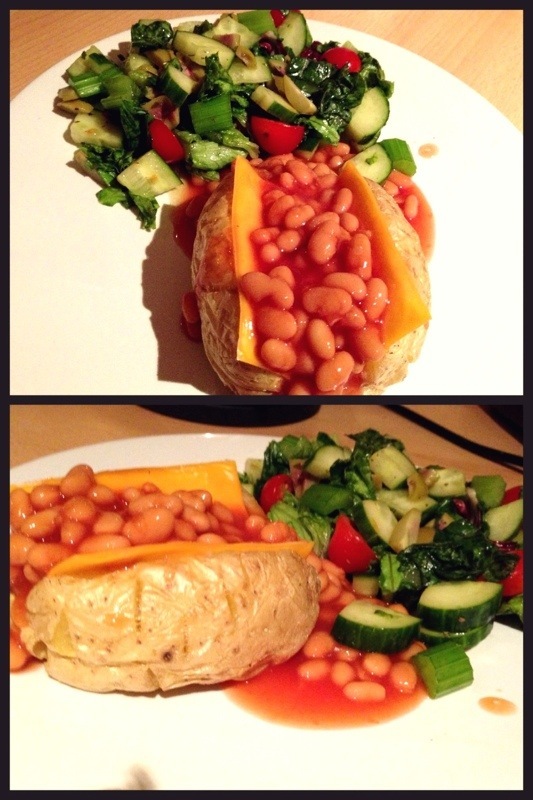 Place the cheese slice and pour the beans over potato and cheese. Microwave it for another 30 seconds. 3. Wash and cut the salad. 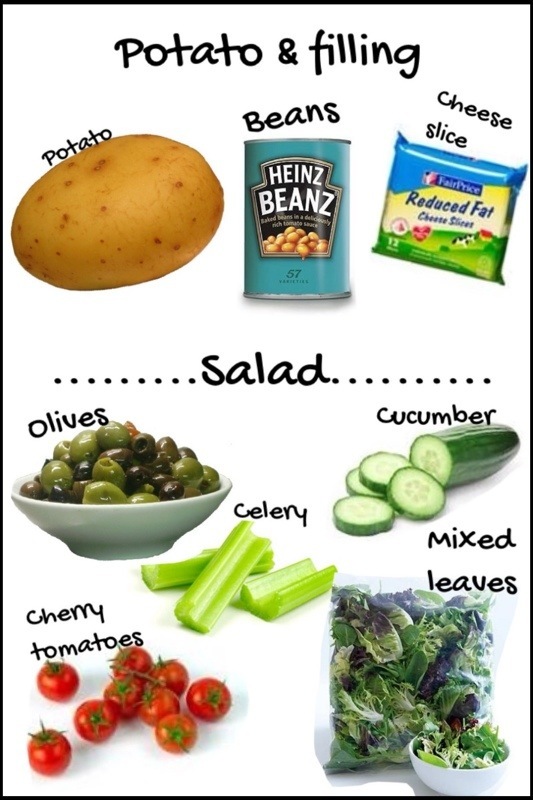 Add the salad dressing to your salad if necessary. Wow! that was real fast and so easy to make! Liked it Kavya! Nice…… Keep posting, it makes interesting reading!!! !